Four to represent EPPJ Wolfpack on NE Nebr All-Star volleyball team. Northeast Nebraska volleyball all-stars to square off at Northeast Community College. Wolfpack’s Tina Thiele-Blecher to help coach Dark Team. Jordan Mescher, Elizabeth Selting and Baylee Wemhoff to play. NORFOLK – Northeast Community College will host the 20th annual Northeast Nebraska All-Star Volleyball Classic next month. The event will take place Saturday, June 10, at 5 p.m. in the Cox Activities Center at Northeast Community College in Norfolk. Members of the Girls’ Dark Team, including the high school where they played, include: Boone Central – Jenna Kramer; Chambers/Wheeler Central – Jacie Laetsch; Elgin Public/Pope John – Jordan Mescher, Elizabeth Selting and Baylee Wemhoff; O’Neill – Hattie Blumenstock, Taylor Colman, Logan Connot; Wakefield – Savannah Nelson; (West Point) Guardian Angels Central Catholic – Madeline Knobbe; Wynot – Cortney Arkfeld. 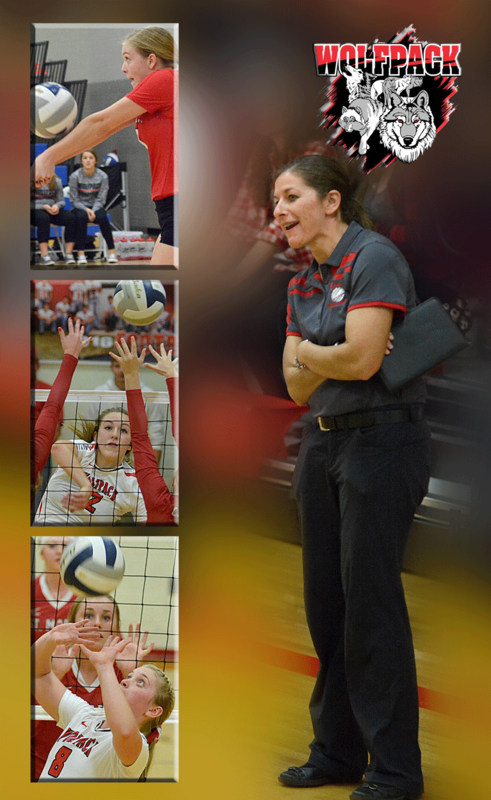 Coaches are McKenzie Connot, (O’Neill) St. Mary’s, and Tina Thiele-Blecher, Elgin Public/Pope John. Stuart – Harlee Fischer; Tekamah-Herman – Elizabeth Dlouhy. Coaches are Jessica Templeman, Ponca, and Kathy Gebhardt, Lutheran High Northeast.